China will implement a “One Window, One Form” policy for registering foreign-funded enterprises, according to a recently released circular. The circular, which was issued jointly by the Ministry of Commerce (MOFCOM) and State Administration for Industry and Commerce (SAIC), will be implemented nationally from June 30, 2018. The “One Window, One Form” policy is designed to make business registration easier by cutting red tape and bureaucratic steps for businesses. After June 30, foreign-funded enterprises will be able to submit a single form to a single office, rather than register separately with various government offices. Notably, the reform strengthens data exchange and information sharing between relevant government departments. This measure increases the importance of maintaining compliant business operations, as well as the risks of non-compliance. However, the reform ultimately stands to simplify the registration process and reduce the hours needed to prepare forms and liaise with different bureaus. Foreign businesses seeking to register should be aware that guidance for national-level reforms may take time to reach local government units. In the past, some local government units have needed additional time beyond the implementation target to train their people on new processes and systems. It is also possible that central government officials may require more time to create and supervise implementation guidance. Meanwhile, the new data exchange measure means that foreign businesses need to exert greater care in managing their compliance with rules and regulations. China has already experimented with similar policies in certain locations. For example, the Shanghai Free Trade Zone (FTZ) has a “single window” access system under the administration of the SAIC. The Shanghai FTZ is also developing a “single window” for goods and services trade. These reforms are a part of a broader reform agenda that seeks to consolidate bureaucratic processes and create a simpler business environment. 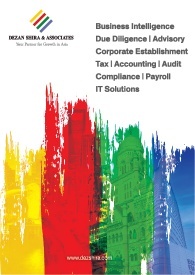 The implementation of the Five-in-One business license is a notable example of this overall reform direction. Despite these efforts to improve the business environment, China has not made substantial progress in recent years. 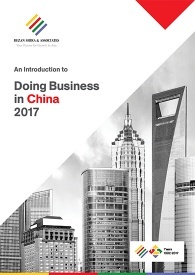 According to the World Bank, China ranks 78 out of 190 economies for ease of doing business in 2018 – the same rank it held in 2017 and 2016. Meanwhile, many foreign businesspeople in China are cautious about the regulatory environment. 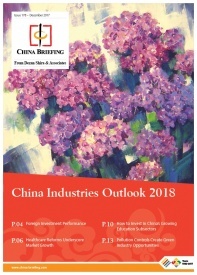 The American Chamber of Commerce’s 2018 China Business Climate Survey Report found that 75 percent of the 400 US firms surveyed in China felt less welcome than before.